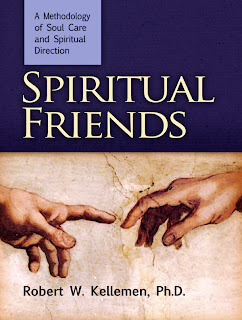 Spiritual Friends: A Methodology of Soul Care and Spiritual Direction, a 374-page hardback workbook by one of the nation’s leading counselors and counseling educators, has just been released by BMH Books of Winona Lake, Ind. The book, which helps professional and lay counselors relate God’s truth to human relationships, is written by Robert W. Kellemen, Ph.D., who is chairman of the Master of Arts in Christian Counseling and Discipleship Department at Capital Bible Seminary in the Washington, D.C. area. Kellemen, who is also a graduate of Grace Theological Seminary, has created this workbook to accompany his masterful text Soul Physicians, which lays out a theology of soul care and spiritual direction. Soul Physicians will appear from BMH books in late August or early September. The books were originally self-published by Kellemen, but have been completely re-worked and edited for the new BMH editions. Widely adopted as texts in Christian counseling programs, the books are also useful by pastors or lay counselors who wish to have a thoroughly biblical approach to their soul care and spiritual direction. Dr. Tammy Schultz, who directs the graduate counseling program at Grace College, says, “Dr. Kellemen skillfully relates compelling life narratives that keep the reader turning pages to learn his grace-filled approach to teaching the ministry and art of helping relationships. Available at Christian booksellers everywhere and at http://www.bmhbooks.com/ or by calling 1-800-348-2756, Spiritual Friends retails for $39.99. The ISBN number is 9780884692560.